Before the invention of the guillotine, an executioner might make several attempts with a sword before effectively chopping someone’s head off. The process was quite gruesome, bloody, and painful. When Joseph Guillotine invented a contraption that would quickly behead those sentenced to death, his goal was a more humane form of execution. The guillotine would execute anyone who was believed to stand against the principles of the revolution. Joseph Guillotine had no idea his invention would become known as the national razor of France for how frequently it was used. Understanding the French Revolution can be quite a challenge, considering all of the political alliances that formed and the shifting ideologies. Also, how the seemingly incorruptible Maximilien Robespierre, a champion of the poor, led a dictatorial government that instated the Reign of Terror. 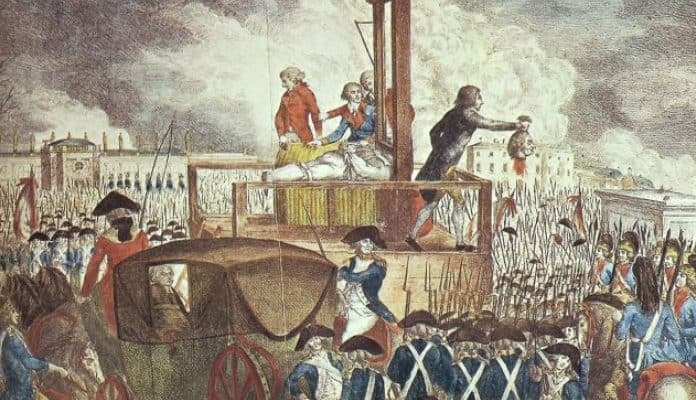 Many of the early supporters of the Revolution, including intellectuals whose ideas helped spawn it in the first place, were sent to die at the guillotine. Many of them died to declare their allegiance to the French Republic and the people as well as denounce the terror that Robespierre had forced upon the people. In fact, looking at the people who died at the guillotine may be the best way to understand the intricacies and complications of the French Revolution.